Early fall Chris sent me an innocent text message with a picture. 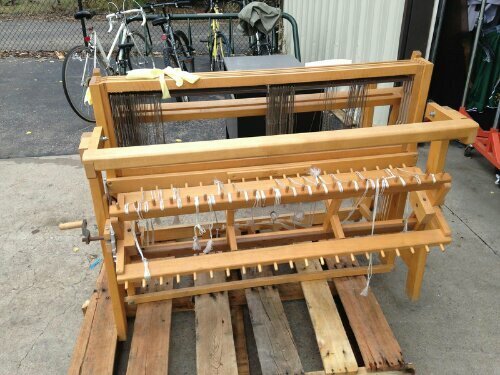 See, he thought I’d be tickled to see a loom for sale at the university surplus store. My instant response was, ‘How much is it?’. You see, I’ve been wanting to learn how to weave ever since my boss took up the hobby. I’ve loved hearing about the process and then seeing and feeling the finished project. Quilting will always be my first love, but I was eager to try this out, too. Unfortunately the barrier to entry is quite high given that looms are expensive. I’ll share the rest of the loom story in another post, but suffice it to say that we brought it home that very afternoon. However, in order to weave, one has to actually learn how to use a loom. My boss helped me along by sending me an incredibly helpful book. But, I needed to see it to understand, too. 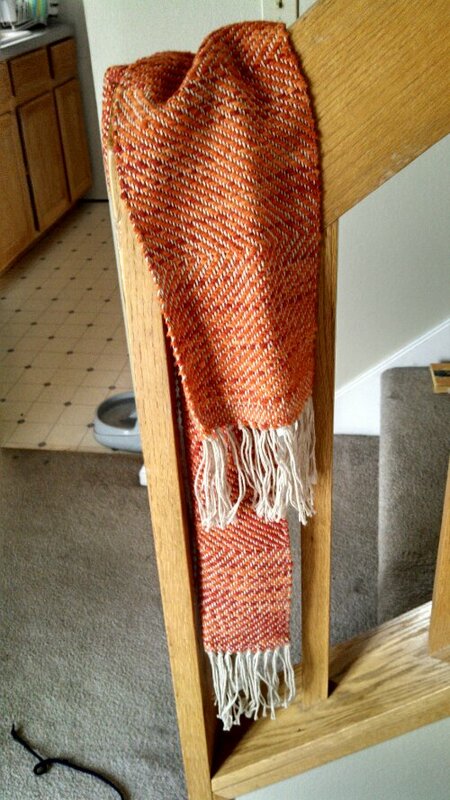 So, I signed up for lessons at a local yarn store and spent 3 weeks in December weaving a scarf of my very own. I wanted an easy project so that I could make connections between what I’d read and what I was seeing. makes it easier for instruction (obviously) and can be transported to and from the store. 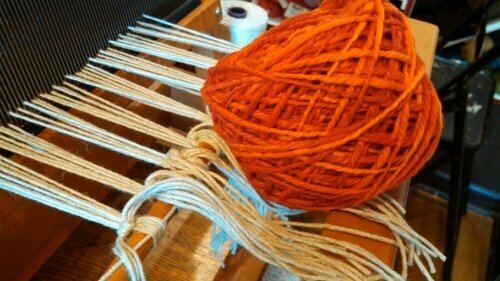 I used a cotton/linen blend for the warp threads and a hand dyed cotton for the weft. These yarn choices were very forgiving as I’m just now learning about tension and making sure I try to keep my selvedges straight. 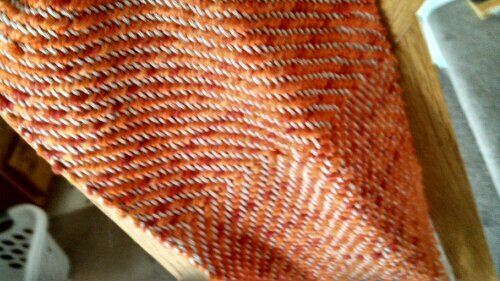 The weave structure is a simple 2/2 balanced twill that switches directions to create a chevron like pattern. I LOVE this scarf. And I learned a ton just by doing. As with quilting, I already have a ton of future projects in the queue and I can’t wait to get going on them in my very own home.